The Explore West Wales day rail pass (formerly known as the West Wales Day Ranger) is good for one day unlimited rail travel west of Carmarthen (including Pembrokeshire) in Wales. This rail pass is good for off-peak travel after 8.45am Monday–Friday and all day on weekends and bank holidays. 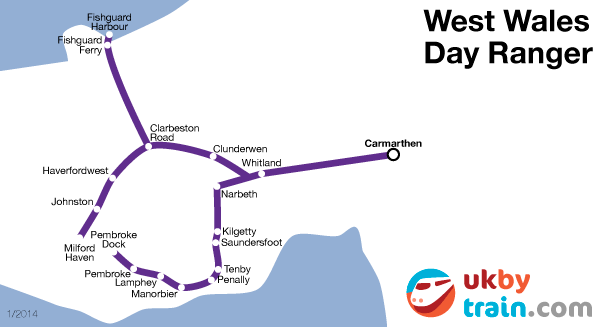 The West Wales Day Ranger allows unlimited travel on all lines West of Carmarthen including, Pembroke Dock, Milford Haven and Fishguard Harbour.